Chad Gayi Hai Lyrics from Gold feat Akshay Kumar is sung by Vishal Dadlani & Sachin-Jigar. Its music is composed by Sachin-Jigar and lyrics are written by Vayu. 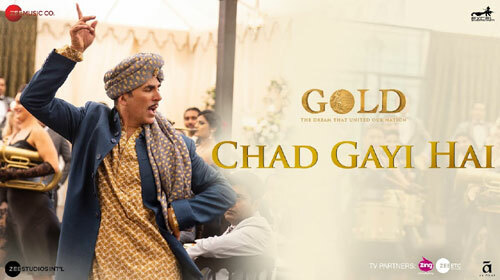 If you find any mistake in lyrics of CHAD GAYI HAI LYRICS – Gold | Akshay Kumar song please let us know in comments.